Rainforest birds are colourful and noisy. They come in all sizes, from the large macaws to tiny hummingbirds - the smallest birds in the world. Most of the world's 10,000 species of birds are found in the tropics. Probably the most obvious are the large and colourful macaws, parrots and cockatoos. Macaws are the largest parrots and they are native to Central and South America, Mexico and formerly Caribbean. There are many different species of macaws and some can be up to a meter long. A distinguishing feature of macaws is the leathery path on the face, which has no feathers. Other classics are the famous, long-beaked toucans. Toucans are also found in South and Central America, southern Mexico and Carribean. They are large birds with distinctive, massive beaks. There are about 40 species of them. Hummingbirds are among the world's smallest birds. There are over 300 species of them, and they are all native to Southern, Central and Northern America. They eat nectar from flowers and can hover in the same place in the air and even fly backwards. Most species live in Southern and Central America. Other remarkable birds are the beautiful pink Flamingoes. There are six species of them in the world. Tha most common - Greater Flamingo - is found in southern Europe, parts of Africa, and southern and south west Asia. Lesser Flamingo is found in Africa and India. The other four are found in South and Central America, Caribbean and Galapagos Islands. 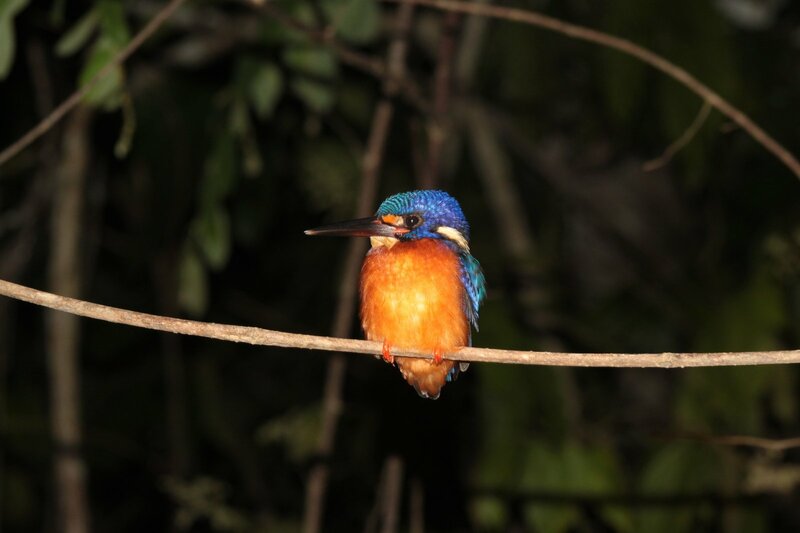 Kingfishers are other typical rainforest birds. They are found almost everywhere, although most species live in old world and Australia. Kookaburras, that are only found in Australia, are the world's largest kingfishers. Other classic rainforest birds are Birds of Paradise. There are about 40 species of them, and with a few exceptions they are all found in New Guinea (Some are found in Cape York, Australia). Other endemics to this part of the world are cassowaries, which are only found in New Guinea and Australia. Honeyeaters is a large group of birds that also live in rainforests. They are all found in Australia, New Guinea, New Zealand and Pacific islands. Kakapo, a flightless nocturnal parrot, is only found in New Zealand.